Wondering about Parish & Outreach hours? Looking to make an Online Donation? Interested in Learning More About Religious Education? Looking for a Sacramental Certificate? 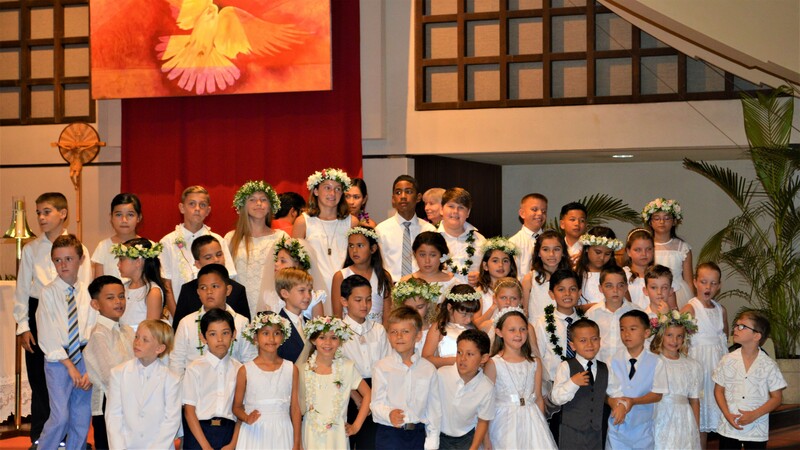 During Pentecost weekend, May 19-20, 2018, our parish confirmed 160 youth and children! Congratulations to our 160 confirmandi! 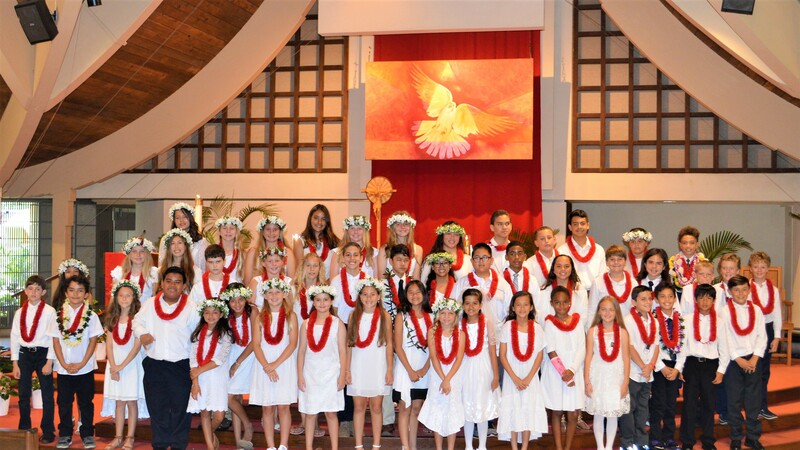 Our St. Anthony of Padua community was in the first group of parishes in Hawaii to undergo the restoration of the original order of sacraments: Confirmation, Eucharist, and Reconciliation. This weekend was fondly reffered to as "Big Pentecost."